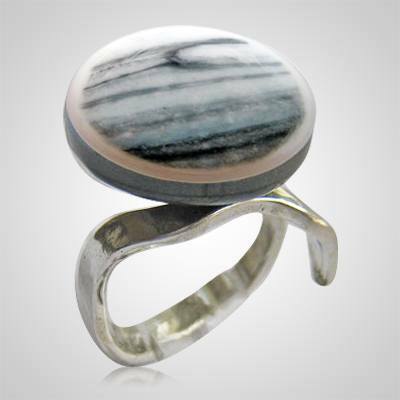 The Gray Blue Memorial Ashes Ring is made from dyed glass. The stunning bead is mounted on a beautifully contemporary sterling silver base. The base is adjustable and will fit most ring sizes. The ashes are hidden in the bead for an elegantly discreet memorial.